Whenever anyone asked me what I did for a living, I used to tell them I did a few things online. Some people wanted to know more, others just figured that I was unemployed. Back then, I wasn’t confident in my response and I didn’t know what to call it. Not only was there a stigma to network marketing (there still is), but no one knew much about what a home-based business was. If you didn’t go to a regular brick and mortar, you weren’t considered to have much going on. Sad to say, I used to think that too. Well, that was until I found out there were many people out there crushing it in home business – especially online, it only fueled my passion for working for myself. Today, when someone asks me what I do, I either tell them I’m self-employed or that I run an online business. Most people are either satisfied with that response or are curious for more details. See, most people who have never made money online have a hard time imagining what I do. The first thing that comes to their mind is that making money on the internet is either really technical or sleazy. I realized that most people don’t know how possible it is to make money online and that there are thousands of ways to do it. A friend of mine told me one day that I had too much going on. She said that it was too much to bother with getting paid from all over the place. She stated that she was fine with her job. Well, I commend her. If she’s happy, I’m happy. See, I was never satisfied staying at one job and getting one check. I like variety and having multiple streams of income is what I strive for. I didn’t feel good knowing that if my boss didn’t like my attitude, he could fire me anytime he wanted to. And solely depending on one source of income was not how I wanted to live. When I was a freshman in college, I read Robert Kiyosaki’s Rich Dad Poor Dad. This is what solidified that having wealth and a business was possible. I remember one of the things his Rich Dad told him and that was to have multiple streams of income. Because if one stream goes away, you’re either out of luck, or you’re going to have to scramble to find another source of income. I also learned this from my blue collar dad, who I truly believe is the hardest working man in America. My family didn’t see many (if any) hard times because my dad always had a side hustle. When work at his job was slow, he just worked harder at his side business. He made investments and when funds were low, he would sell or cash out. As well as that worked out for my family decades ago, trading time for dollars is also pretty risky. No matter how many businesses or side hustles you have going on at one time. With the invention of the internet, building an online business with multiple streams and passive income is made possible. Here are a few ways I make money online. I am a consultant and provide my expertise to individuals who are interested in starting and growing a home-based business. A service-based business is probably one of the most inexpensive ways to start making money. In this business structure, the only thing you really need to start is your expertise. There’s really no overhead because you can literally begin making money right now either through word of mouth or by placing a PayPal button on your website. You can charge by the hour or for a finished service such as designing a website. I create and sell informational products such as ebooks and courses. Though I don’t participate in these, informational products also include software and apps as well. There is quite a bit of work involved in creating your informational product, but the great thing is that once it’s done, you’re done. 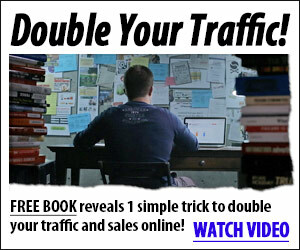 You can create one ebook and sell it over and over again. No more one to one or trading time for dollars. You can produce it once and help more people than you could ever if you were to provide a service. If you keep your informational products purely digital, you will not have to worry about paying for delivery, which makes this business structure quite lucrative and passive once you complete it. Affiliate marketing involves making money from referring other people’s products and services. I recommend products and services I use and enjoy and when someone clicks on my affiliate link, I receive a percentage of the sale. Affiliate marketing doesn’t cost the consumer anything because the price remains the same for them. It also doesn’t cost the business any extra money from advertising, because they receive sales they may not have been able to reach based on the recommendation I made. I in return get paid for a product or service I didn’t pay to create. It’s a win-win for everyone. Blogging is a great way to make money online. I blog regularly and the income from it has replaced my income as an elementary school teacher. I help people by sharing tips on how to save money, make more money, and start a home-based business. It’s not easy, but the rewards outpace the effort. If you are interested in starting your own blog, make sure you check this post out first. Bloggers make money through a lot of the activities I mentioned above in addition to placing ads on their website and writing sponsored ads. If you’re interested in making money blogging, these books will show you how to turn your blogs into profit. If you are serious about starting a home business, learn how I was able to make sales by helping other entrepreneurs – way before my business ever made me a dime. Grab the free top earner framework.